I first heard about Paul’s Tailors through a neighbourhood Facebook group, when someone was asking where to take an expensive dress to be altered. Even though there are a lot of businesses in the area, the majority of people in the group recommended Paul’s Tailors. The business is a small, well-known store located on Bathurst Street, just south of Hwy 401. The store does tailoring, alterations, and cleaning. They work extremely efficiently and I was told they are less expensive, despite the high-quality workmanship. They’ve been in business for almost 40 years. Even though it’s called Paul’s Tailors, it’s owned by Harry and Jack. Harry’s wife, Renee, also helps run things. My first experience was several months ago when I got a new suit and needed to have it altered. Knowing that it is the go to place in the area, I headed over to see what they could do for me. Once I arrived, I learned that there are a lot of well known people that take their clothes to Paul’s for tailoring. From celebrities to athletes, including players on the Toronto Maple Leafs, all have their photos and autographs hanging on the wall. Yet, Harry and Jack treat you with the same level of respect…whether you’re a celebrity or an average Torontonian. My most recent trip to Paul’s Tailors is a great example of service and of a business thinking about the long-term. I was originally heading to another place that I often go to when I need something small stitched up, but as I was driving by, I thought, “it’s closer, why don’t I just pop in?” When I got to the door, I realized that they were about to close, but Harry immediately told me to come on in. I explained that my daughter had a purse and one of the straps had fallen off and that she needed it in time for an upcoming party. I explained jokingly that my daughter was upset about her purse and because my daughter was upset, my wife was upset, and everyone was taking it out on me. Harry laughed, said to me, “let’s take a look!”, and sat down at one of the sewing machines. In less than five minutes, he was back with the purse and it was looking like brand new. He jokingly said, “Hopefully this will keep your wife and daughter happy,” and wished me a good day. I asked him how much for the purse, but he only told me not to worry about it and that he’d see me again some time. Now, this is excellent service! Firstly, he repaired the purse right then and there, whereas he could have asked me to come back tomorrow. I would have been more than happy to pay him $10.00 or so to fix it, but he understands the value of a long-term business relationship. He knows that he kept me very happy and I’m certainly going to come back. On top of that, chances are, like I’m doing now, I’m going to tell my friends, family, and all sorts of people about how great he is to work with. 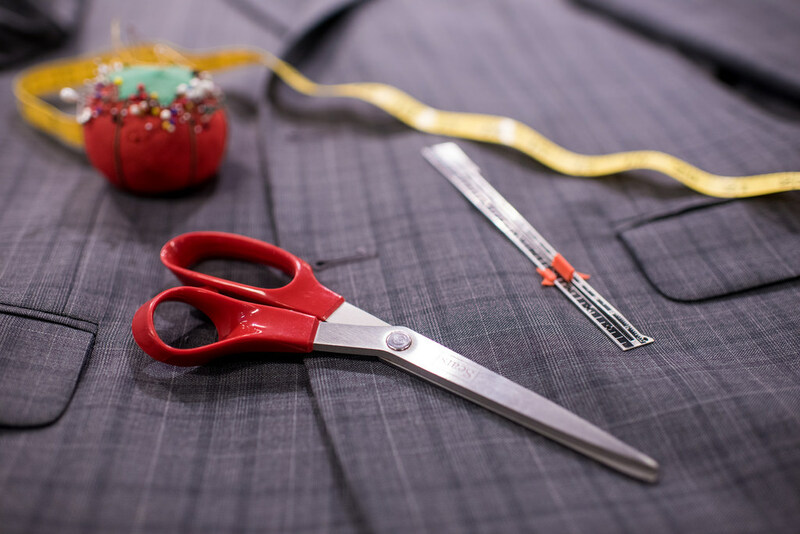 Paul’s Tailors has been successful for many years because they have the perfect recipe for doing business……high-quality workmanship, great customer service, and the understanding of the value of a long-term customer. Whether it’s a quick fix-it or something that requires fancy alterations, I highly recommend Paul’s Tailors. He has my business all sewn up.